[The Fact] Broadcaster Jun Hyun moo and singer, actress Seo Hyun have been confirmed as MCs who will successfully lead the U+5G THE FACT MUSIC AWARDS (TMA). The committee for the U+5G The Fact Music Awards said 4 that all around broadcasters Jun Hyun moo and Seo Hyun will host the "U+5G The Fact Music Awards," a festival of FAN N STAR, and that they expect to enhance the dignity of the awards ceremony even more with their fantastic breathing. Having established himself as one of the nation's top entertainment MCs by taking the lead in various popular entertainment shows such as MBC's "Omniscient Interfering View" KBS2's "Happy Together 4" and tvN's "Problematic Man," Jun Hyun moo will display his smooth progress and witty remarks on "U+5G's The Fact Music Awards." And also Seo hyun recently signed an exclusive contract with the Namoo Actors to start her career as an actress, will also shine as the MC of the U+5G The Fact Music Awards. Especially, Seo hyun served as the MC of " South and North Korean Troupe for Peace and Cooperation in Pyongyang - Spring is coming" last year, showed off her stable ability to proceed without showing signs of nervousness, although it is a big national event. As hosts of "U+5G The Fact Music Awards," which attracted fans' attention, and Seo Hyeon will be selected, attention is also expected to be paid to their "Fantastic Chemistry" that will add to the show's splendor. The "U+5G The Fact Music Awards" is an award ceremony that expands online year-end awards for FAN N STAR offline and will be held in a festive format for fans and by stars. Online voting will be free for about three weeks until July 19 on the official website. 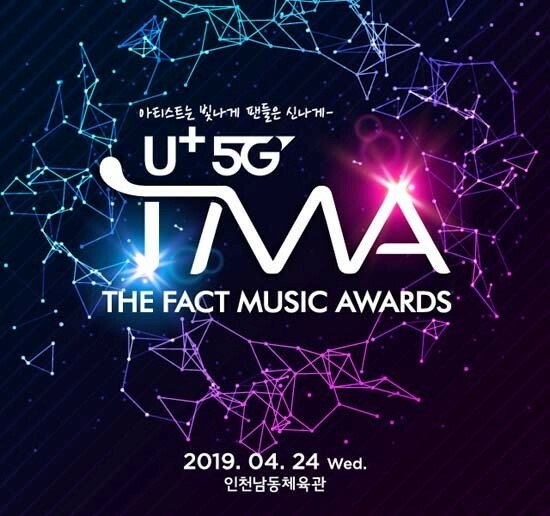 Starting with BTS, fans expectations for the "U+5G The Fact Music Awards" are heating up as top local artists such as TWICE, Red Velvet, MAMAMOO, iKON, Monsta X, Stray Kids, The Boyz, Chung ha, GFRIEND, MOMOLAND, (G)I-DEUL, Super Junior and NU’EST join the line up. The U+5G The Fact Music Awards, with U+Idol Live, will kick off on April 24 at Namdong Gymnasium in Incheon.